The shop is open! 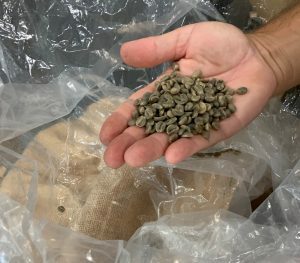 Bea’s Knees Farm roasted coffee is for sale! 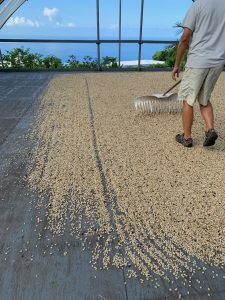 We are very excited to offer estate coffee from the Murata family farm for the very first time. Roasting and shipping will start on Halloween. Roasting and same-day shipping will usually be on Mondays and Wednesdays. Why does it take so long to go from picked fruit to roasted coffee? 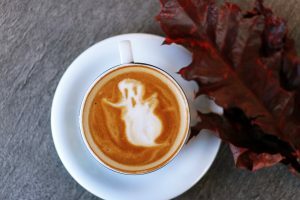 What’s happening to Bea’s Knees Farm’s coffee? The same day the red coffee cherry gets picked, it is delivered to the wet mill. Three layers surround the coffee bean, which is really a seed. From outside to inside are the cherry skin, the mucilage, and the parchment. The pulper extracts the beans which then go into a fermenting and rinsing tank to remove the remaining mucilage. Parchment drying naturally under a covered deck. The beans then go to an area where they’re spread out to dry under a covered sun deck and are periodically turned. Later the beans get mechanically finish-dried to a specific moisture content for quality consistency. The beans are still inside a thin, paper-like husk, and the beans are referred to as parchment coffee, or parchment, at this stage. Next is dry milling. The parchment, like a paper husk, is removed and also another thin layer underneath that, the silver skin. What remains looks like, and is called, green coffee beans. 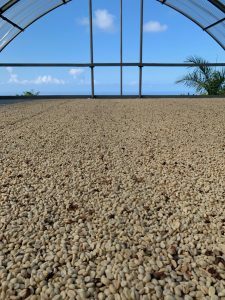 This is what gets graded based on bean type (peaberry or regular), size, moisture content, and processing defects according to standards defined by Hawaii state laws. Green coffee is what gets sold on the international market. That’s what the commercial roasters, your neighborhood roasters, or you roast. Green coffee is very porous and easily absorbs moisture and flavors. Again, careful storage is important. Light, temperature, humidity, and oxygen exposure must be controlled. I’ve tried to keep the description brief, but you have to keep in mind that there is worldwide research done and variables in almost every single step from growing coffee to the point of you drinking your cup of delicious coffee. You personally might already have been experimenting with all the ways to brew coffee, and maybe you’ve tried various roasts and/or roasters of coffee from the same region, or maybe you even home-roast your coffee. Here I’ve just mentioned some of the steps prior to roasting and brewing. Whatever coffee you drink, when you hold your morning cup of coffee and take your first sip, you might occasionally pause and mindfully reflect with gratitude about all that’s involved. The second round of picking at the end of September yielded a bit more than the first round. We are now at over 300% of our entire last year’s harvest with 2/3 of the trees producing. 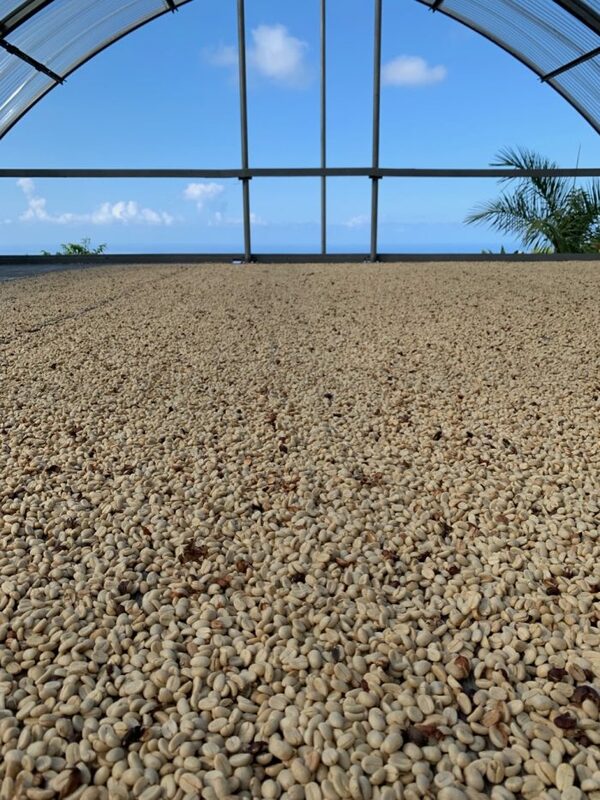 Bea’s Knees Farm’s first estate coffee should be on track for roasting to order starting November.